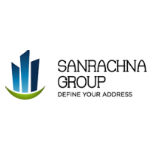 Sanrachna group is established by a group of young entrepreneurs with a vision to make a piece of earth more Statuesque and fascinating place to live for you. There was a need for more reliable more focused and customised Real Estate Company for all type of users who were willing to live a exuberant and peaceful life in the home they purchased, Sanrachna Group tries to fulfill the need of customers in all aspects, understanding the fast-changing needs of prospective customers, Sanrachna Group has come up with residential and commercial flats & buildings in compliance with International Standard Infrastructure Practices. As the name “Sanrachna” suggests, we are committed and work hard to design and construct space with matchless quality that will allow you to live a dazzling and magnificent life. We work for those who chase their dreams to shape them into reality. Why Sanrachna Group is unique has simple answer that we at Sanrachna start thinking from a customer’s point of view hence It is the place where you can trust on our conscientiousness, Prudence and faithfulness.